Access to information and the freedom of the press are internationally recognized human rights. These rights are essential for the public’s participation in government decision-making, the maintenance of government accountability, and the defense of basic guarantees.1 These two rights have roots in the world’s first freedom of information act adopted by the Swedish parliament in 1766, better known as the Swedish Freedom of Press Act. In a testament to the linguistic implications behind the act, the rights of press freedom and information access were officially identified as “civil liberties” in 1982, when some of the first Freedom of Information (FOI) laws were enacted. The right of access to information and the freedom of the press became interdependent because one’s access to information depends on another’s ability to exercise their freedom of expression. Today, there are at least sixty-five statutes defining access to information in the world: the majority of them are European, but approximately 13 exist in the Americas.2 Many domestic and regional courts in the Western hemisphere have established an international precedent to protect the right to access information and the freedom of the press. Article 13 of the American Convention on Human Rights states that, “everyone has the right to freedom of thought and expression, including the freedom to seek, receive, and impart information in any form of art, or through any medium of one’s choice.”3 Not all countries have fully complied with the international treaty obligations, and some have instead created their own laws in order to acquire the freedom of expression and access to information with their country’s particular background in mind. 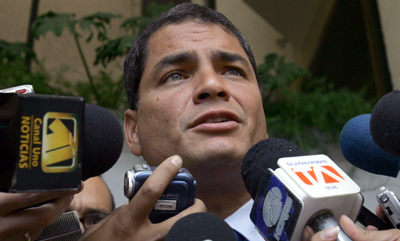 When Rafael Correa took office in 2007, observers perceived him as one of the latest left-wing political leaders in the region prepared to oppose traditional Ecuadorian elites and U.S. free-market policies. Following a difficult period of political instability, a weak economy, and the public’s general discontent, many believed that Correa could direct Ecuador towards a better future. His campaign slogans “Manos limpias, corazones ardientes y mentes lúcidas” (“Clean hands, burning hearts, and clear minds”), and “La patria ya es de todos” (“The country now belongs to everyone”) resonated with voters, boosting his popularity. Correa’s popularity won him the voters’ approval to establish a constituent assembly to draft a new constitution that would broaden executive powers over the legislative and judicial branches as well as over the nation’s economic policy.5 The approved constitution called for general elections in 2009, in which Correa was re-elected for a four-year mandate, and also allowed him to seek re-election through 2017. Nevertheless, Article 19 represents an even bigger controversy than Article 18 for the pending communication law. The article establishes that Ecuadoran media programing needs to be informative, educational, and cultural without initiatives that promote discrimination, racism, or religious and political animosity.”7 Correa believes that information coming from the media should be beneficial for everyone, rather than a sensational factor that could invoke violence and result in conflict. However, many freedom of press advocates have characterized Article 19 as the government’s tool to silence criticism and censor information that could be understood in the wrong way. Similarly Article 11 forbids the use of images containing violent, bloody, or dead bodies in images broadcast on news coverage considered to have insufficient content. According to this provision, a regulatory council would be authorized to make contextual determination. The drafted Communication Law was first proposed in 2009, but it still has not been approved because of the controversy around Articles 18 and 19. The law establishes that, “communication rights shall not be subject to prior censorship, except in those cases recognized in the constitution, international treaties, and the law.”8 In other words, in order to exercise freedom of expression published information and its context must fulfill a set of principles, such as respect for human dignity, reputation, intimacy and family. According to Correa these requirements serve to protect and regulate the exercise of the rights to communication, previously founded in the constitution. The pre-established requirements would not have been subject to so much disapproval if Article 19 did not explicitly silence political criticism. Such an outcry over this provision is hardly unexpected, and the Correa administration should have taken this into account. 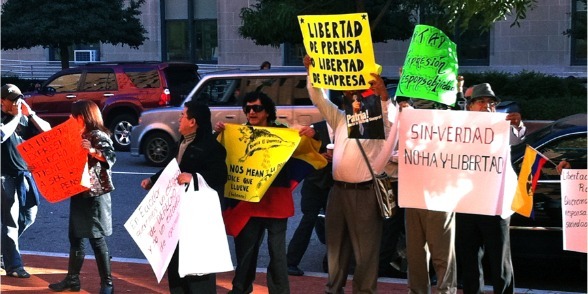 Is Ecuador Becoming a Repressive State? Besides changes to the Communication Law, on October 15, 2011, President Correa proposed a draft for a new Penal Code before the National Assembly, which recognizes criticisms and defamatory allegations as offenses. According to Article 115, “those who direct criticism that constitutes slanderous accusations against authority will be subject to 1 to 3 years in prison and a fine of 1 to 10 basic salaries.” Those who make “defamatory allegations will be subject to 6 months to 2 years in prison and a fine of 1 to 10 basic salaries.”9 Similarly, Article 217 states that “whoever disrespects any tribunal corporation, or public official, with words, gestures, or acts will be subject to imprisonment for 8 days to one month.”10 Even though Correa might have had the best intentions in institutionalizing a system that would value human dignity, the changes that have been added to the Penal Code, together with the proposed communication law, seem to be taking Ecuador in a different, if not more ideologically driven, direction. In addition, Article 312 prohibits bankers who previously controlled the majority of Ecuadorian broadcast media from owning media companies. When Correa took office in 2007, state media consisted of a single radio network, known as Radio Nacional de Ecuador. However, in 2008 the central government acquired more stations such as TC Televisión, Gama TV, and several other media outlets held by Grupo Isaías, which owed $661 million USD to Ecuador after the collapse of its banking institution, Filanbanco.11 Correa also frequently uses cadenas, a set of stations broadcasting the same program simultaneously on the radio and television, which are traditionally used in a declared state of emergency. According to a nonpartisan Mexican research organization, Fundación Etos, from January 2007 to May 2011 Ecuadorian television was interrupted 1,025 times for cadenas, totaling more than 150 hours of propaganda.12 Correa justifies these changes by emphasizing their importance in protecting Ecuadorians from insufficient and inaccurate information that could incite violence and social disturbance. Despite the best of intentions, segments containing inappropriate language and violent images can still be found in the media, while the freedom of the press has been compromised. One of the vital lessons learned from the case of Ecuador is the importance of producing good policies with an objective to protect the freedom of expression. It is very hard to distinguish where to draw a line between government control and freedom of the press. The 2008 constitutional revision and the presented laws have made significant attempts to institutionalize value-oriented schemes, such as a respect for human dignity, privacy, and family. 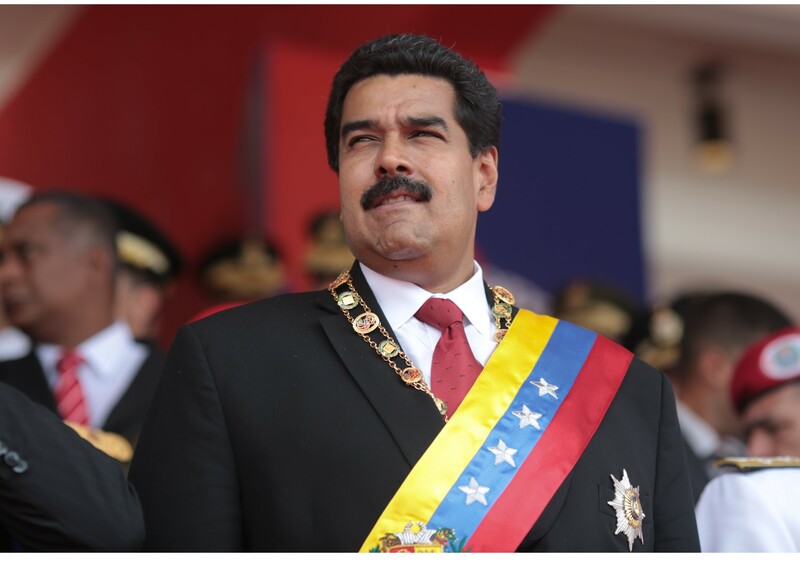 However, over the last few years some have charged that the government has been alienating some of these principles and, instead, might be heading in a direction of repression if some of its laws are not revised. Others remind the observer that despite these formulas for opposition in the country’s political arena, Correa is one of the most popular presidents in the country’s history. 2 Access Info Europe, Access to Information: A fundamental right, universal standard 2006, http://www.access-info.org/documents/Access_Docs/Thinking/Get_Connected/Access_Info_Europe_Briefing_Paper.pdf. 3 Organization of American Sates, American Convention on Human Rights; Pact of San Jose, Costa Rica (B-32), http://www.oas.org/dil/treaties_B-32_American_Convention_on_Human_Rights.htm. 4 Indy Media, Ley Orgánica de Comunicación Ecuador, http://ecuador.indymedia.org/media/2012/02/38137.pdf. 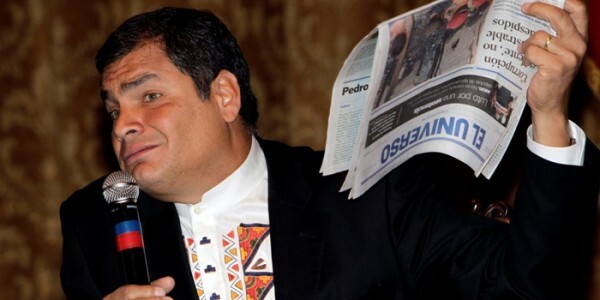 5 Committee to Protect Journalists (CPJ), Special Report: Confrontation, repression in Correa’s Ecuador, http://cpj.org/reports/2011/09/confrontation-repression-correa-ecuador.php. 6 Committee to Protect Journalists (CPJ), Special Report: Confrontation, repression in Correa’s Ecuador, http://cpj.org/reports/2011/09/confrontation-repression-correa-ecuador.php. 7 Asamblea Nacional, Constitución de Ecuador, 2008 (Quito, Ecuador), 26. 8 United Nations Scientific Educational and Cultural Organization, Assessment of Media Development in Ecuador – 2011, http://www.unesco.org/new/fileadmin/MULTIMEDIA/HQ/CI/CI/pdf/IPDC/ecuador_mdi_report_eng.pdf. 9 Asamblea Nacional. Constitución de Ecuador, 2008 (Quito, Ecuador), 74. 10 Asamblea Nacional. Constitución de Ecuador, 2008 (Quito, Ecuador), 114. 11 Committee to Protect Journalists (CPJ), Special Report: Confrontation, repression in Correa’s Ecuador, http://cpj.org/reports/2011/09/confrontation-repression-correa-ecuador.php. 12 Committee to Protect Journalists, Attacks on the Press in 2011: A Worldwide Survey, http://cpj.org/attacks_on_the_press_2011.pdf. Washington’s New Friend on the Block: Cuban Embassy Opens in D.C.